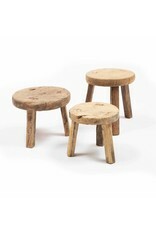 Small round wooden stool - Old Wooden stool, Authentic rustic wooden stools en benches. Small round wooden stools, used as milking stool or workman's stool at the Chinese countryside. 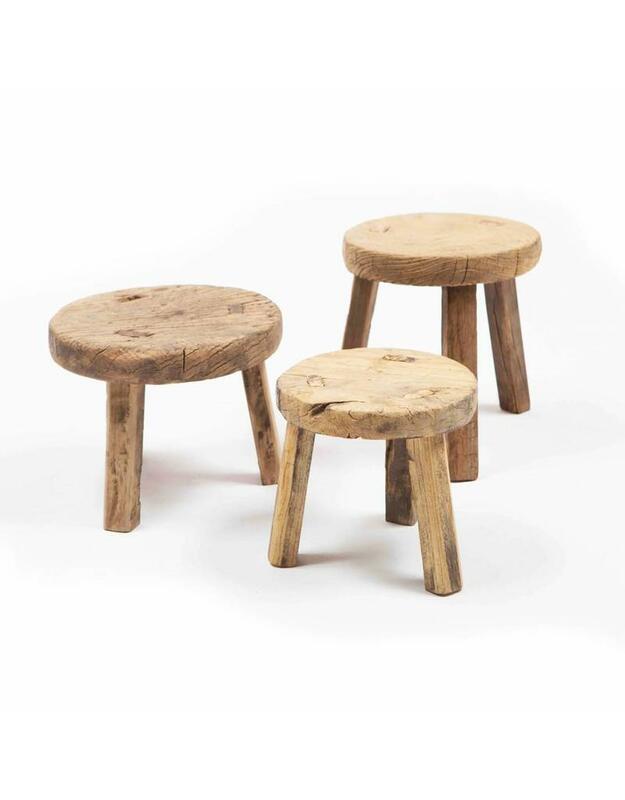 These small round wooden stools are real unique pieces for your interior. 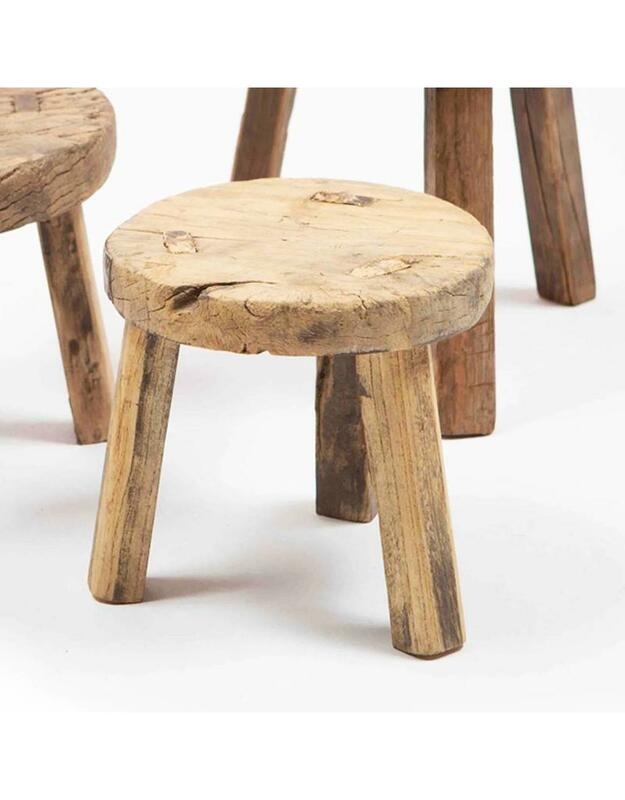 The sturdy stools are originating the Chinese country side, mostly from the Shandong province. They were used by farmers and local workers. 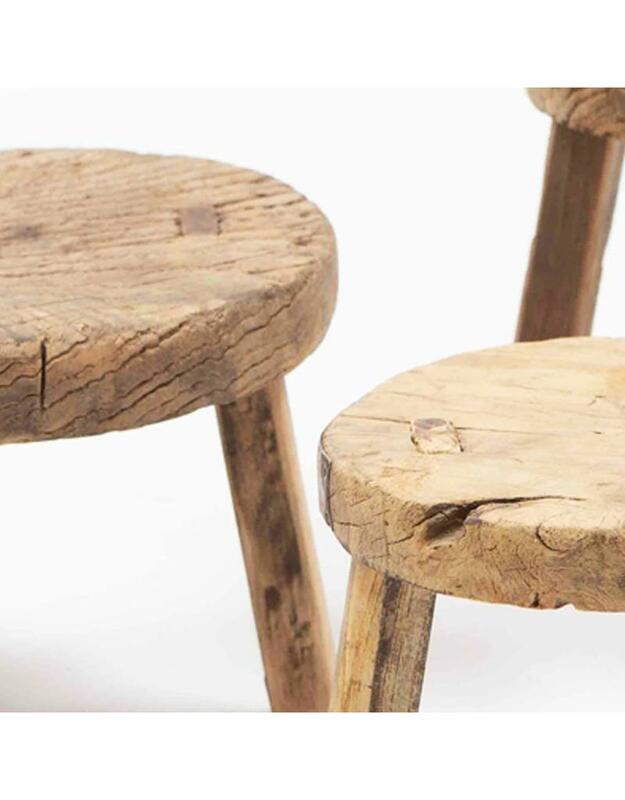 Every stool is unique and you will never find two of the same pieces in our collection. 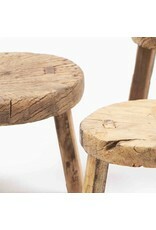 Most of the stools are weathered natural wood. Sometimes we find beautiful painted or lacquered in our shop.